Swivels are essential for aerial rigging. 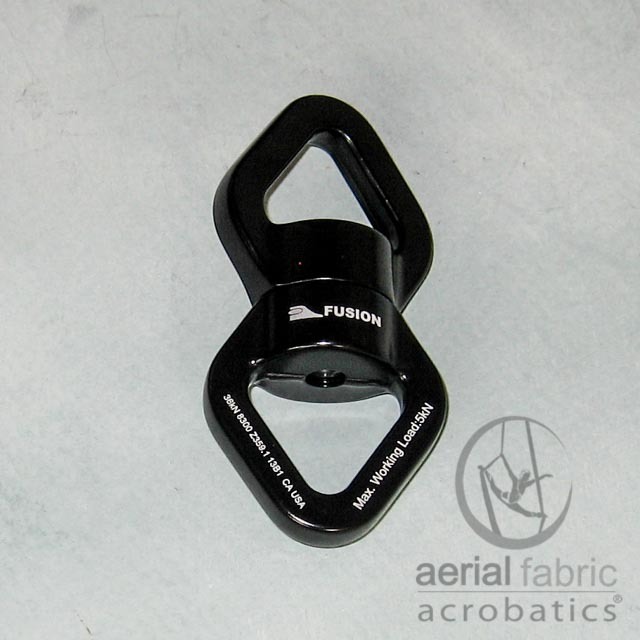 The Black Fusion swivel is rated at 36kN with a working load of 5kN. It is designed to keep you and your equipment spinning. Swivels are essential for aerial rigging. The swivel is necessary for single mounted aerial equipment so the rotational force does not loosen your attachment point. It also keeps any rotation from twisting your fabric or bungee cords when in use. 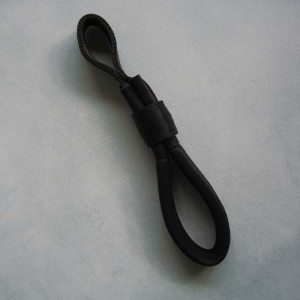 The swivel will spin very quickly if mounted from the bottom of a wire rope cable when you weight the cable. 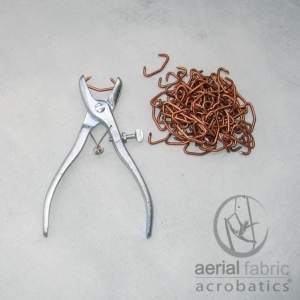 Use for Aerial Dance and Bungee Dance for ability to spin and rotate without twisting your aerial silks or bungee cords. Swivel is rated at 36kN with working load of 5kN. 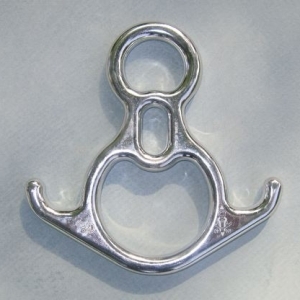 For more information please read our article on Swivels in the Answers Section. Swivel rated for the climbing industry at 36kN or 8,000 pounds of force with working load of 5kN or 1,124 pounds of force. Check Swivel frequently after it has been used for the ability to rotate easily and smoothly. If there is ANY resistance to spinning, do not use the swivel. Swivels must be replaced when they no longer spin easily.